The most common reason for deductions to security deposits on rented properties is not damages, but uncleanliness. If your soon-to-be old property is not left as a clean as it was when you first moved in, your landlord may seem fit to make a partial deduction from your security deposit to compensate for the uncleanliness. After forking out for the deposit on a new property, as well as any other agency and removal fees, the last thing you want to happen is to lose a chunk of your old security deposit because you forgot to clean the carpets. Here at Fulham Cleaners, we can offer you a professional service which means you won’t lose anything you’re your security deposit. Our dedicated team of Fulham end of tenancy cleaning professionals SW10 have the experience, tools and expertise to ensure that your property is left as clean as it was when you first moved in. To see what our company can offer you, please call us on 020 3743 8436 to get a free quote. Our dedicated agents will be more than happy to tell you how much the service will cost you, as well as answer any other questions you may have. You are probably thinking that if I have to spend money to hire a cleaner to avoid losing money from my security deposit, I might as well lose the money from the deposit as it will probably cost the same as hiring out a cleaner. This simply isn’t true. If you neglect to clean, your landlord will have no choice but to hire out a cleaner on your behalf, which will come out of your deposit. 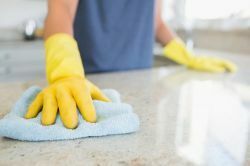 This will cost you more as the landlord will have no concern for how much the cleaner costs, unlike if you were to hire out cleaners yourself, you would surely look for the best deal. And we can offer you the best deal with our SW6 end of tenancy cleaning service. Please do not hesitate to call us on 020 3743 8436. Another reason why you will be better served hiring out our SW6 cleaning service is because our team of experienced professionals will know how clean the landlord expects the property to be. Having carried out countless end of tenancy jobs over decades, our team will know how spotless the oven should be, where the nooks and crannies in your home are, and in general know clean your home should be when you leave. If you chose to clean your soon-to-be old property yourself, it will be inevitable that you miss a spot – and missing that spot may mean your landlord might hire out a cleaner anywhere, despite you making every other square inch of former home spotless. To get peace of mind, be sure to hire out our team of professional end of tenancy cleaners SW6. 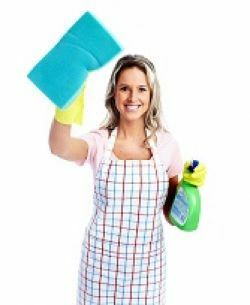 But the main benefit of hiring out our team of SW10 end of tenancy cleaning Fulham professionals is that it takes it out of your hands. Cleaning can be a nightmare: cleaning a whole flat to a pristine level can be even worse. Everything – absolutely everything – has to be cleaned. For some of us there just aren’t enough hours in the day. For others, we’d rather not clean. Whatever your reason, be sure to give our SW6 end of tenancy agents a call to see if our service is right for you. Here at Fulham Cleaners, we pride ourselves on offering the highest level of customer service. If you chose to hire out our team of Fulham end of tenancy cleaning professionals that is what you’ll get it. Don’t hesitate to call us on 020 3743 8436.